Life is Not Chaotic - What Is the Purpose of Life? 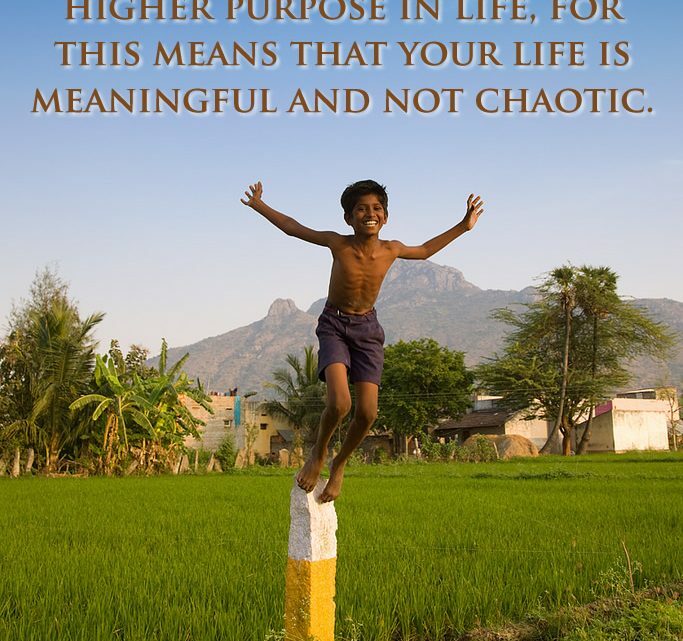 “Be happy that you have a higher purpose in life, for this means that your life is meaningful and not chaotic. It means that you have an origin and a destiny beyond this world. It means that life is eternal even as it passes through this temporary phase of worldly existence. “Be grateful, then, that the relationships you reclaim unto yourself you will be able to keep, for once you have recognized another, you cannot forget that person. The advancement you make here is permanent. It is only your assessment of yourself that can deteriorate. It is only your ability to meet your destiny in the world that can be offset or denied, thus wasting your valuable time. Life is not chaotic. We have a purpose and destiny in the world. Take advantage of your life to fulfill your destiny.